At last we are going to Solan tonight!!!! Solan is a district located near Shimla, Himachal Pradesh. 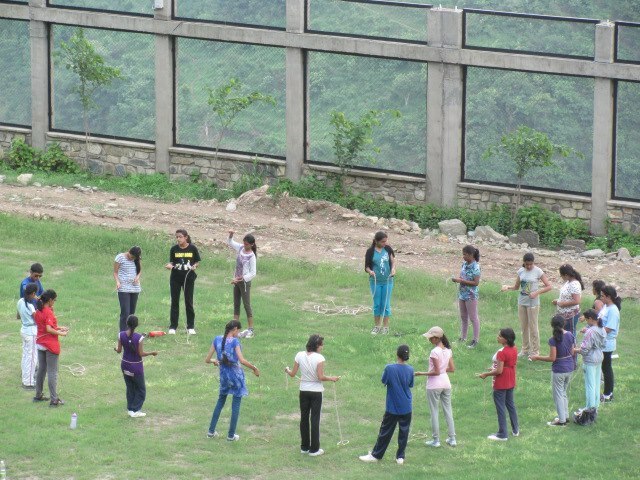 There is an activity center of our school located at Solan….. We stay there for 3 days 2 nights. We had been to Solan two years before when I was in 6th class. We do not have any site-seeing there expect the second day when we are taken to trekking for about 2 or 3 kms to the River Giriganga, a tributary of the Ganga or Yamuna. We are a batch of 80 girls with 4 teacher escorts.We will leave for Solan at 9:30 tonight and reach there tomorrow morning. We are also going to have an Independence Day celebration tomorrow at Solan. We will return back to Delhi on Friday evening. SOLAN………….. HERE WE COME!!!!!!!! GET READY FOR FUN!!!!!! !